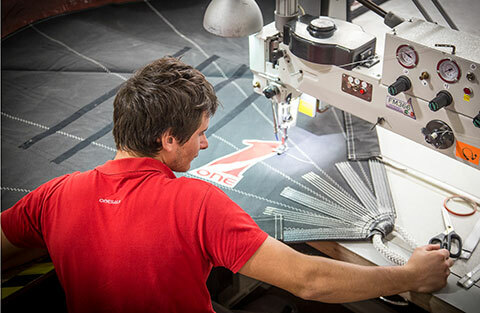 The next generation of furling sails. Thanks to the lower halyard tensions needed, 30% - 35% less than used with anti-torsion cable, it’s possible to avoid the need for a 2:1 halyard, reducing the sprit load and improving safety. 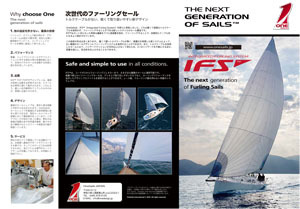 The IFS™ is a new sail concept with important advantages noticeable both when racing and cruising. 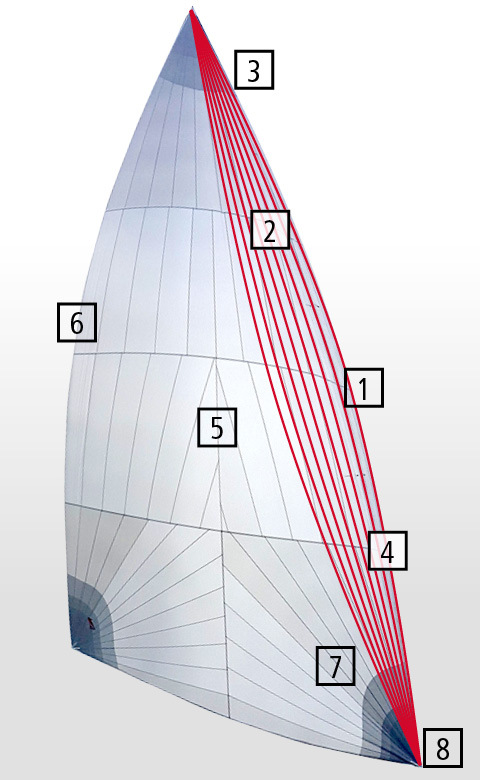 The sail doesn’t need too much luff tension for proper effective furling, just tight enough to make it straight. The best furling is achieved when sailing dead downwind, reducing the apparent wind to a minimum. When furling, the sheet should not be completely eased, it is better to keep a slight tension on it, accompanying the furl. It is advisable to always furl the sail in the same direction, as the top will furl more smoothly and tightly. Before hoisting again, make sure the top hasn’t unfurled, which can happen during the dropping and stowage. Once the sail is unfurled, halyard tension can be adjusted according to the sailing angle (tighter for reaching, looser for wider angles). Although the sail doesn’t require a lot of halyard tension, the integrated IFSTM structure can withstand heavy loads so care should be taken not to over tighten the halyard in order to prevent damage to the furler and other fittings. The sail should not be left hoisted when furled with the apparent wind exceeding around 12 knots.